My son starts kindergarten this fall. 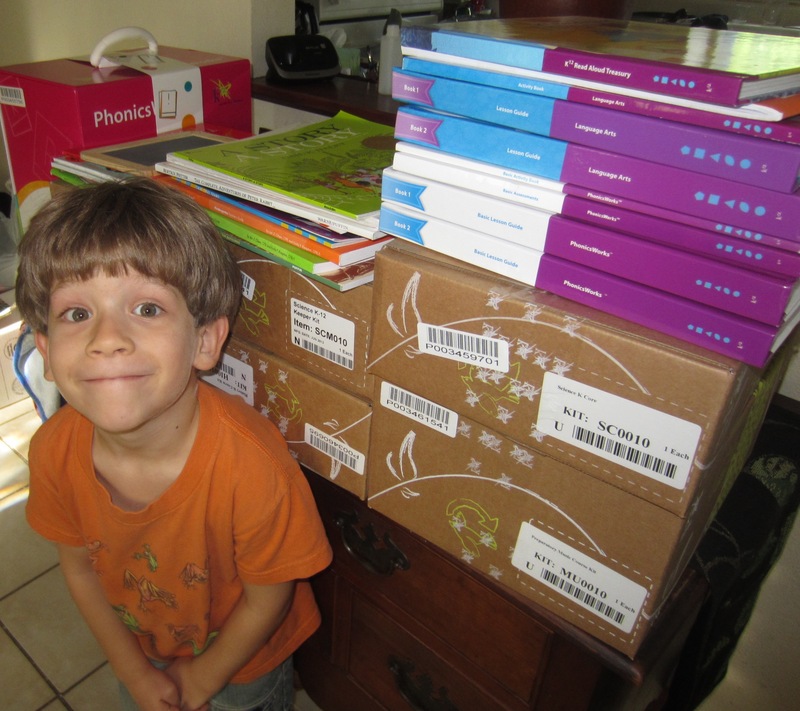 And we got a nice big gift from his school last week … all of his textbooks and workbooks and necessary school items for the entire year! Thanks to modern technology, he’ll be attending kindergarten from the comfort and convenience of my home office!